In Mark Voger’s world, the lava lamp is always fired up, psychedelia and sunshine pop are always blaring from the jukebox, there are nightly screenings of Head and Easy Rider, the magazine rack is always stocked with the latest issues of Josie and the Pussycats and Zap Comix, and H.R. Pufnstuf, The Banana Splits, and Laugh-In are in constant rotation on the tube (and make no mistake, his TV has a tube… and rabbit ears). 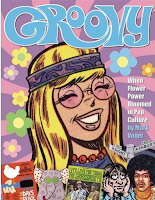 These are the things Voger defines as “groovy,” and these are the groovy things that he uses to build a groovy world in his groovy new book Groovy: When Flower Power Bloomed in Pop Culture. This year marks the fiftieth anniversary of the Summer of Love, and there have been no shortage or reverent, historically conscious books to commemorate the Aquarian age. 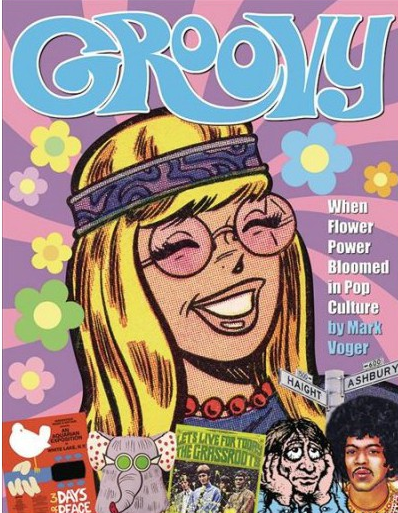 Groovy is the first one I’ve read that actually captures the full flowering fun of that period. I love, love, love the fact that Voger makes room for the things Jann Wenner types consciously leave out of the discussion. Our author betrays no snobbery, placing the perennial critical darlings beside the less revered but no less lovable sorts. So in this lively, ping-ponging survey of the late sixties and early seventies, there are places for The Buckinghams next to The Beatles, The Guess Who next to The Who, The Cowsills next to The Beach Boys, Tommy James next to Dylan, and Tiny Tim next to Hendrix. A lot of these folks stop in to gab with Voger too, and the book is liberally seasoned with recent and less recent interviews with fab folks such as Donovan, Maureen McCormick, the Smothers Brothers, Brian Wilson, Ruth Buzzi, Mick Taylor, Paul Kantner, Shirley Jones, Bill Wyman, John Entwistle, Lily Tomlin, Roger McGuinn, all four Monkess, and many others. What a gas! However, Groovy’s grooviest feature may be its acid-cartoon design, which explodes with colorful portraits, period art, album jackets, and memorabilia galore. Mark Voger is also the author of Monster Mash, a book about the Monster Kid phenomenon I gushed over a couple of years ago. I can’t help but think that with his wonderfully definitive volumes on classic monsters and now the psychedelic age, Voger has managed to distill everything I’ve attempted to do with Psychobabble over the past decade in just a couple of handy, dandy hardcovers. 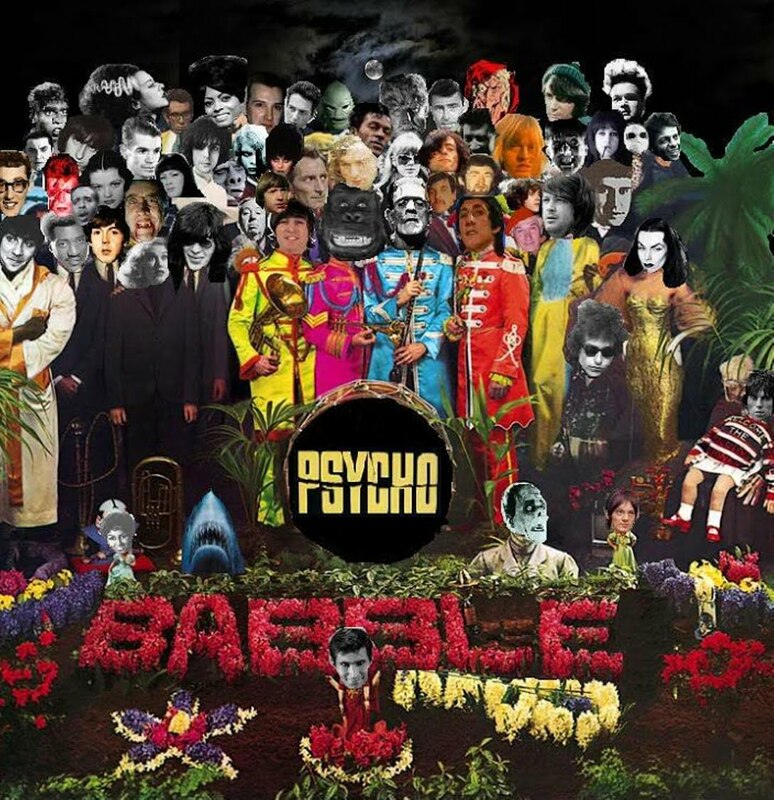 He’s a true kindred spirit, Psychobabblers, and judging from his personal, humorous, self-effacing, fun-loving prose, a pretty groovy himself.